S. Berrichi, A. Mazroui, , “Improving English-Arabic Statistical Machine Translation using the linguistic knowledge on data“, The eighth edition of International Conference on Information and Communication Technologies for Amazigh (TICAM’2018), Rabat (Morocco), 26-27 November 2018. I. Touahri, A. Mazroui, , “Arabic sentiment classification using POS Tagger and SVM“, The eighth edition of International Conference on Information and Communication Technologies for Amazigh (TICAM’2018), Rabat (Morocco), 26-27 November 2018. S. Berrichi, A. Mazroui, , “Benefits of morphosyntactic features on English-Arabic Statistical Machine Translation“, The 3rd IEEE Conference on Machine Learning and Natural Language Processing: Models, Systems, Data and Applications” (IEEE MNLP-CiSt’18), 21-24 October, Marrakesh, Morocco. I. Touahri, A. Mazroui, , “Opinion and sentiment polarity detection using supervised machine learning“, The 3rd IEEE Conference on Machine Learning and Natural Language Processing: Models, Systems, Data and Applications” (IEEE MNLP-CiSt’18), 21-24 October, Marrakesh, Morocco. Boudchiche, A. Mazroui, ” Improving the Arabic root extraction by using the quadratic splines“, proceeding of the International Conference on Intelligent Systems and Computer Vision (ISCV 2018), 2-4 April 2018, Fez, Morocco. 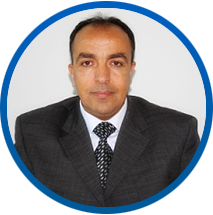 Boudchiche, A. Mazroui, “Arabic root extraction using continuous quadratic splines“, proceeding of the 6th International Conference on Arabic Language Processing (ICALP 2017), October 11th – 12th 2017, Fez, Morocco. N. Ababou, A. Mazroui, “Classical Grammar and Context Free Grammar to Parse Arabic Nominal Sentences”, proceeding of the 6th International Conference on Arabic Language Processing (ICALP 2017), October 11th – 12th 2017, Fez, Morocco. M. Boudchiche, A. Mazroui, “Morphological disambiguation of Arabic texts by quadratic splines“, proceeding of the 7th International Conference on Approximation Methods and Numerical Modelling in Environment and Natural Resources, Oujda, (Morocco), May 17-20, 2017. A. Mhamdi, A. Mazroui, “Multifont Arabic Character Recognition Using Bézier Curves and Hidden Markov Models“, proceeding of the 7th International Conference on Approximation Methods and Numerical Modelling in Environment and Natural Resources, Oujda, (Morocco), May 17-20, 2017. M. Boudchiche, A. Mazroui, “Approche hybride pour le développement d’un lemmatiseur pour la langue arabe“, 13th African Conference on Research in Computer Science and Applied Mathematics (CARI’2016), 11th-14th October 2016, Tunis, Tunisia. M. Boudchiche, A. Mazroui, “Evaluation of the Ambiguity Caused by the Absence of Diacritical Marks in Arabic Texts: Statistical Study“, in 5th International Conference on Information and Communication Technology and Accessibility, 21-23 December 2015, Marrakesh, Morocco. A. Mazroui, N. Ababou, “A Morphological Analysis and Smoothing Techniques to Improve a Statistical POS Tagger for Arabic Language “, proceeding of the 15th International Arab Conference on Information Technology (ACIT’14), 09-11 December 2014, Nizwa, Soltanat Oman. A. Mazroui, Aissa Kerkour El Miad, ” Bézier curves to recognize multi-font Arabic isolated characters “, proceeding of the 15th International Arab Conference on Information Technology (ACIT’14), 09-11 December 2014, Nizwa, Soltanat Oman. A. Chennoufi, A. Mazroui, “Apport de la deuxième version de l’Analyseur AlKhalil Morpho Sys dans la Voyellation Automatique des Textes Arabes“, proceeding de la 5ème conférence internationale sur le traitement automatique de la langue arabe (CITLA’2014), Oujda, Maroc, 26-27 novembre 2014. A. Mazroui, A. Chennoufi, “Méthodes de lissage d’une approche morpho-statistique pour la voyellation automatique des textes arabes“, proceeding du 21ème Traitement Automatique des Langues Naturelles, Marseille, France, 01-04 juillet 2014 (TALN 2014), pp. 443-448. A. Mazroui, N. Ababou, “Etiquetage morphosyntaxique automatique de la langue arabe“, proceeding of the 9th International Conference on Intelligent Systems: Théories and Applications (SITA’14), 07-08 May 2014, Rabat, Morocco. A. Mazroui, A. Meziane, “language of instruction and development: statistical study“, proceeding of the International Conference on Student and training assessment in higher education: models in use and key challenges, Oujda (Morocco), April 24-25, 2012. A. Mazroui, L. Roubi, A. Kaaouachi, M. Belkasmi, “Profile of graduates of the University of Mohammed First: The first results of the survey GrInsA“, proceeding of the International Conference on Student and training assessment in higher education: models in use and key challenges, Oujda (Morocco), April 24-25, 2012. A. Mazroui, Aissa Kerkour El Miad, “A system for Arabic handwritten digit recognition”, proceeding of the 4th International Conference on Approximation Methods and Numerical Modelling in Environment and Natural Resources, Saidia (Morocco), May 23-26, 2011. A. Mazroui, Aissa Kerkour El Miad, “Handwritten Arabic characters modeling by Bézier curves for recognition””, proceeding of the 4th International Conference on Approximation Methods and Numerical Modeling in Environment and Natural Resources, Saidia (Morocco), May 23-26, 2011. A. Mazroui, A. Meziane, “a statistical study on the relationship between language of teaching, national languages and development“, proceeding of the 8th Pedagogical days: language of teaching and teaching languages, Marrakech (Morocco), 24-25 November 2010. A. Mazroui, M. Lamnii, A. Tijini, “Blossoms to raising the degree of multivariate approximation“, proceeding of the New trends in approximation, Oujda, (Morocco) 27-28 October 2009. A. Mazroui, M. Lamnii, A. Tijini, “C1 spline quasi-interpolant of degree ≥ 2 based on a quadratic box-spline defined on a uniform criss-cross partition“, proceeding of the New trends in approximation, Oujda, (Morocco) 27-28 October 2009. A. Mazroui, A. Mraoui, D. Sbibih, A. Tijini, “A new method for smoothing curves and surfaces and applications“, proceeding of The First International Conference of Mathematics, Aleppo (Syria), 19-21 December 2006. A. Mazroui, D. Sbibih, “Existance et construction de B-splines à support simple sur des schémas à trois directions“, in proceedings of the de Sixième Journées d’analyse Numérique et Optimisation, Casablanca, Mars 2000. A. Mazroui, D. Sbibih, “Construction de B-splines à support régulier“, in proceeding of: Premières Journées Internationales sur les Méthodes Numériques Appliquées à l’Ingenierie, Fes, Octobre 1999. A. Mazroui, D. Sbibih, “Etude de quelques espaces de fonctions splines“, in proceeding of: Vème Journées d’Analyse Numérique et Optimisation, Kenitra, Avril 1998. A. Mazroui, D. Sbibih, “Un algorithme de calcul des B-splines à deux variables sur une triangulation uniforme du plan“, in proceeding of: Premières Journées sur le Parallélisme, Oujda, Novembre 1996. A. Mazroui, P. Priouret, “Etude des modèles de régression à paramètre dépendant du temps“, in proceeding of: Premières Journées de Mathématiques appliquées. Rabat, Juillet 1992.